Please note that the deadline for submission is on Saturday 18/11/2017. 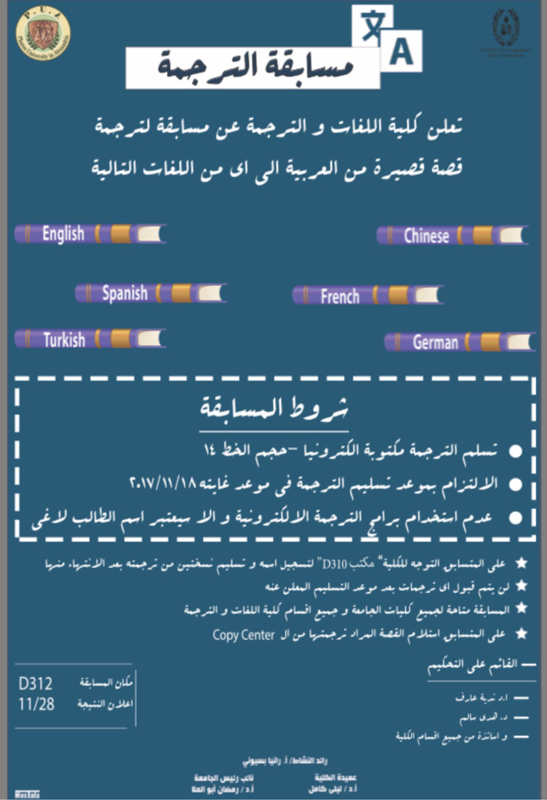 Translations should be submitted to Mrs. Rania Bassiouny, the Student Activities Leader – room D310. Please refer to the rules set in the announcement.